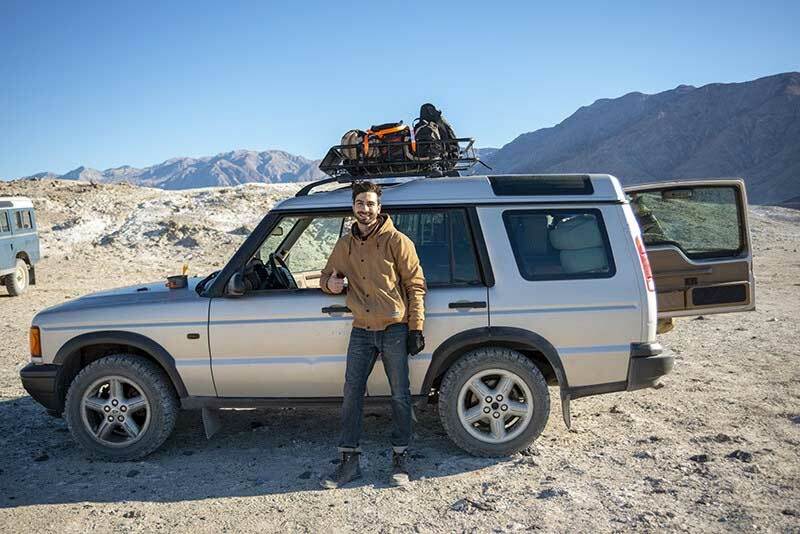 Death Valley is notorious as a very hot place -- the highest recorded temperature on Earth ever was recorded here, and new vehicles are tested here to see how they can handle the temperature abuse. 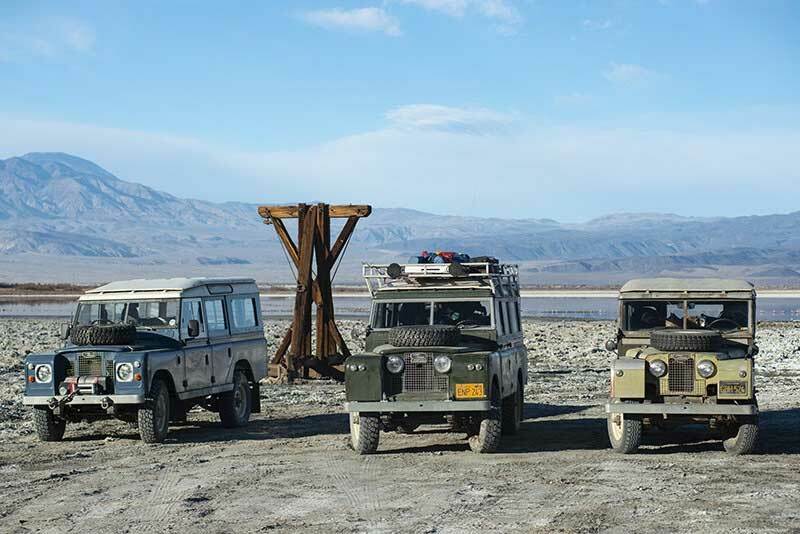 But in winter, it's a cold, windy place -- and with far fewer visitors, a good place to spend the end of 2018 in a few old Land Rovers poking around. 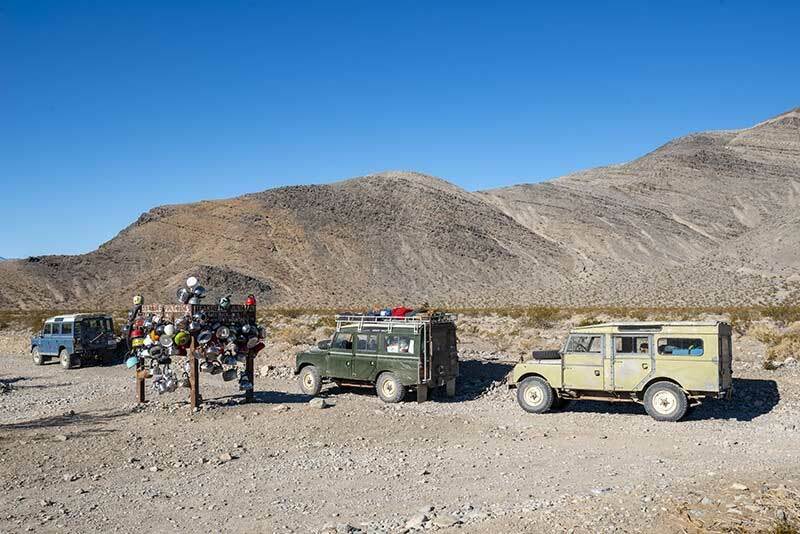 I got an invite to join a week-long trip to Death Valley with some of my Californian Land Rover friends in early December. I've wanted to visit the place for many years, so I bit the bullet on a last-minute airfare from New Jersey to Los Angeles to ride along shotgun. The trip ended up being all Series trucks -- five originally, with two dropping out for mechanical reasons. The three we ended up with were all long-wheelbase station wagon Series models. I rode with Randy Rose in his 1957 Series I 107", an extremely rare vehicle in North America. He has owned it for 32 years and has done a full rebuild. Maurice and Katie Patrykus and their kids joined us in their beautiful green 1960 Series II 109" wagon. 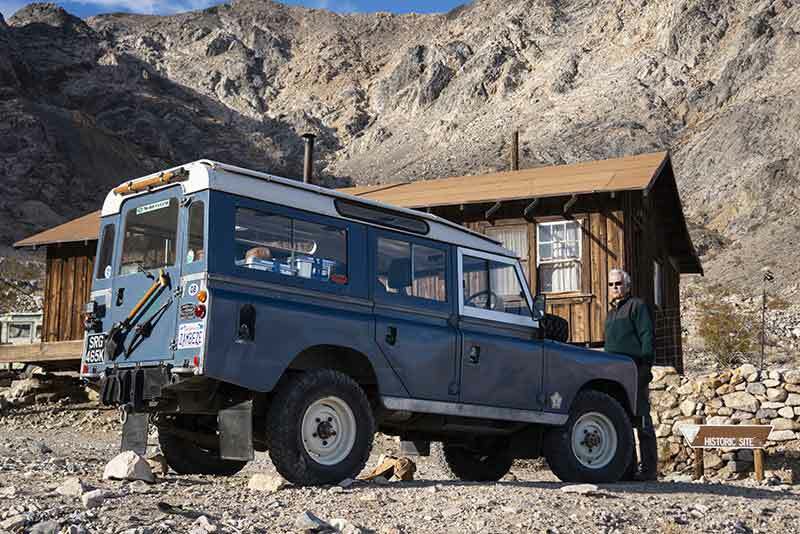 Paul von Klosst-Dohna took his very late 1971 Series IIA 109" "Zambezi," a right-hand-drive import from Britain with a well-thought-out camping setup in the back. We began our trip by meeting up at one of the old mining cabins that dot the park. They're maintained by volunteers as first-come-first-serve overnight lodgings. Some are just a bare cabin; others have wood stoves, or even kitchen and bedroom spaces. Many have decorations from visitors or mementos of their past. The cabins and their locations are generally kept on the down-low to try and prevent vandalism, keep the old structures from being overtaxed, and maintain a bit of the mystique. Some of them are extremely well-hidden, and even if you know the name of it, they're almost un-Googleable. Even if you can find photos, good luck finding some on a map. The one thing all my experienced friends told me about Death Valley is that you can't expect to see anything near the entirety of the place in a week or even a month. The park is the biggest in the continental United States, and even though we spent a week exploring we saw a tiny fraction of what there is to see here. I know people who have gone back dozens of times to continue taking it in, and they still have more to discover. As we meandered through the park, we were marking off lookouts, side trails, and distant mountains on the maps to think about on a future trip. 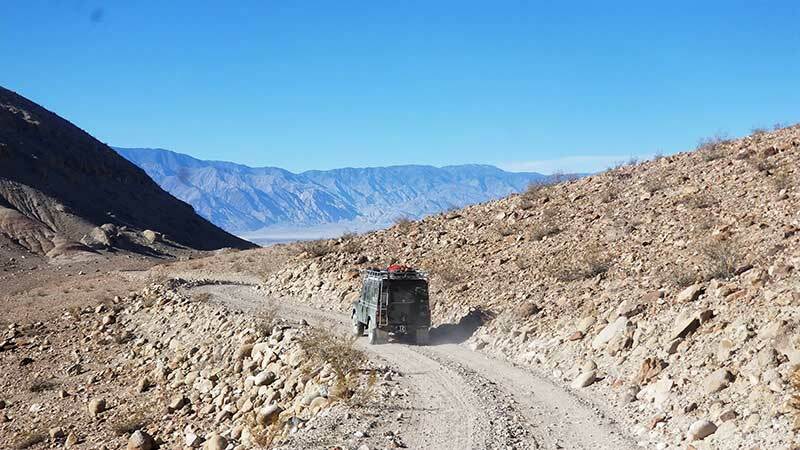 We focused our itinerary roughly on a circuit of Hunter Mountain, which incorporated several flagship features of the park -- Teakettle Junction, The Racetrack Playa, and the Lippincott Grade. Then we planned to spend the last two nights of 2018 in Saline Springs, a somewhat off-the-grid renegade quasi-resort deep in the Saline Valley. After the first two nights in the old mining cabins, we began the second half of the journey and began our ascent of Hunter Mountain. In the winter, this is one of the trickier areas of the park, especially in shaded areas. In the past, some of our friends had experienced serious traction issues and snow pileups. There was certainly ice today. After the descent of the pass, we headed through Hidden Valley -- a vast, wide vista through a back corner of the park. Not many people come here; fewer still seem to linger. The trail across was a long, straight washboard, inviting shades of Talladega to try and skip the tops of the bumps. We videoed, photographed, and kicked up dust before taking a turn to spend the night in the shadow of the Lost Burro Mine, one of the more significant and intact mining operations in the area. In the morning I got the most incredible view back into Hidden Valley from a high point behind the headquarters cabin, which has all sorts of signs and tools inside. We spent some time thinking whose truck or tent was parked on what part of the old townsite. Was Randy on the tavern? 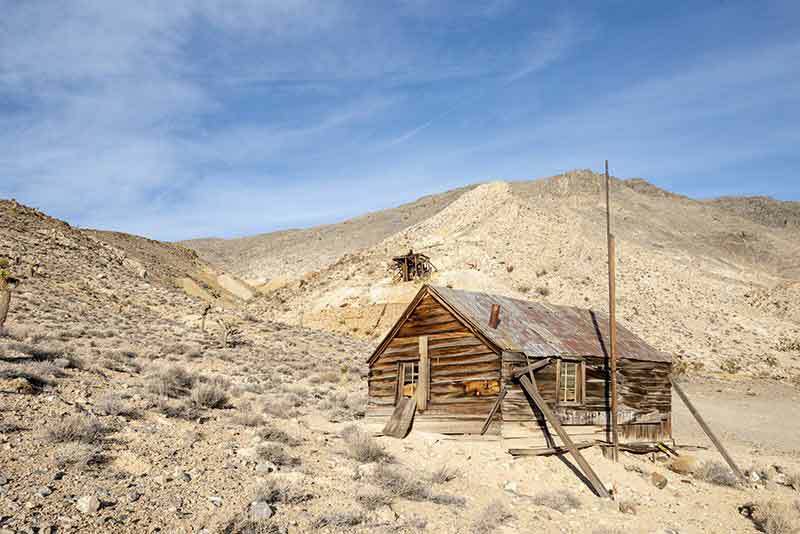 Was my tent's convenient flat spot on the site of the brothel (a major fixture in almost every single short-lived Death Valley mining town)? 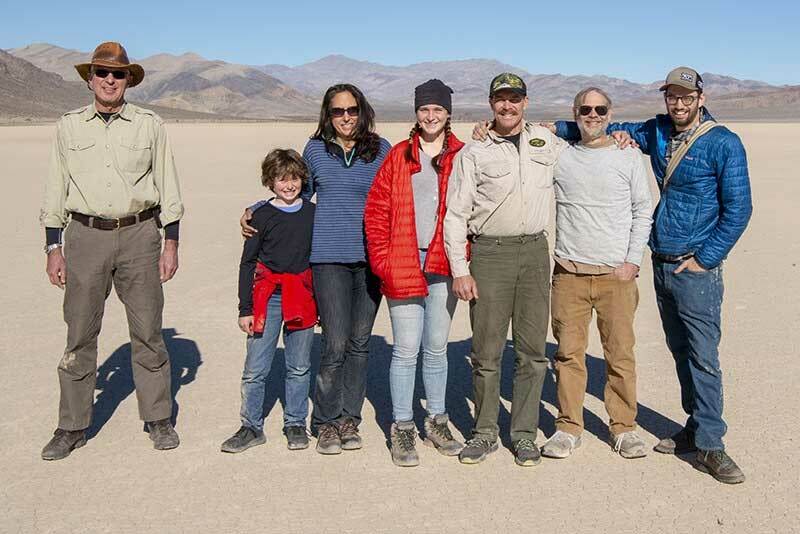 The next day's adventures took us to some of Death Valley's flagship sites. First was Teakettle Junction. The etymology is fuzzy, but for years travelers have been writing their names on tea kettles and tying them to the sign here. Every now and then the National Park Service thins the herd a bit to keep it from overloading. We forgot to bring one, but we still got some great photos with the trucks. Then we went down to the Racetrack Playa. The Racetrack has garnered some global press recently as its mystery may have been solved. On this playa, rocks have been moving without anyone seeing how for centuries. They leave long tails behind them etched in the dirt along the path. After years of study, scientists now think it has to do with there being a slight film of water after a rain for them to skid on, not unlike throwing curling stones down the ice. It was also a great place to get a group shot of the travelling party, in no small part because there were others there to take it for the first time in days! Our next stop was the Lippincott Grade, possibly the most difficult trail in the park. 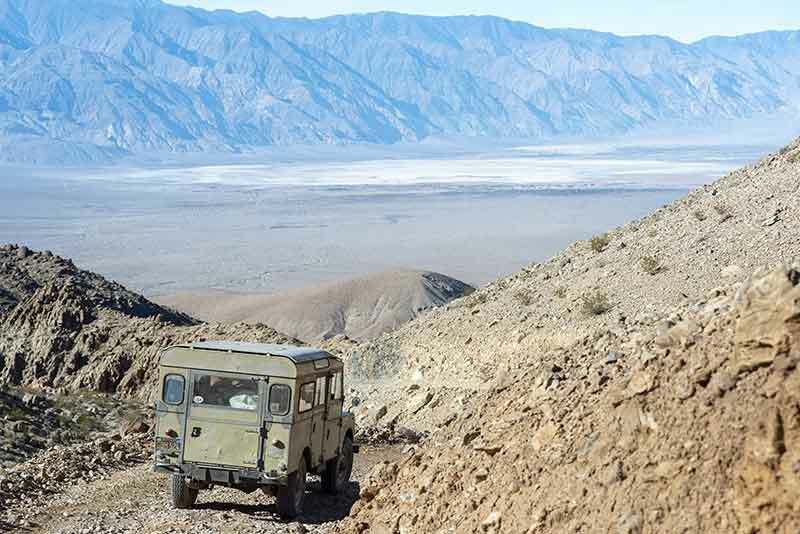 This was the easiest way to get down to the Saline Valley, though, when equipped with a proper 4-wheel-drive vehicle. It's steep, twisty, rocky, and two-way, so one of the stressors going down it is who is coming up against you. We wound the Land Rovers down the pass over about an hour, allowing some time for passing. After such an arduous journey, we had to convince several people that this was not a good trail for their Subaru Outback, even if Google Maps said it was the quickest way to the Racetrack Playa. Heading through the Saline Valley, we stopped at the remnants of the old salt trams that carried salt from here across the mountains to Owens Lake for further shipment. Saline Valley has one of the world's largest and purest supplies of salt, and the tram was a massive endeavor to build across the Inyo Mountains. Today only a few parts of it remain, but those that do make a stark landmark in the scenery. Our final major stop for the trip was the Saline Warm Springs, a natural spring that has turned into a sort of volunteer-built resort over the past few decades. Originally on BLM land, it was absorbed by the National Park Service in 1996 when Death Valley National Park was expanded. The NPS currently take a hands-off attitude towards the place, not advertising it at all and not marking it on maps. The place is freewheeling, with clothing-optional soaking tubs, a New Year's potluck, and people from all walks of life coming through this hidden oasis. 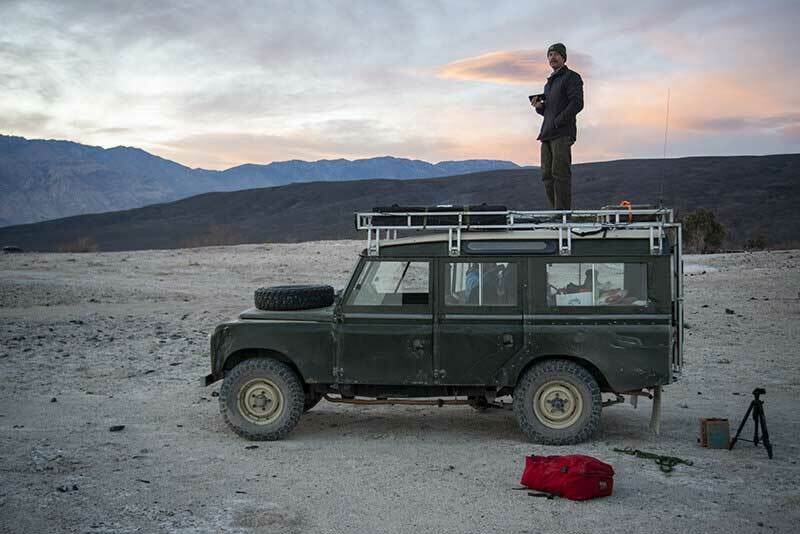 We spent two days soaking, reading, eating the rest of the food in the coolers and fridges, and meeting some of the people in camp -- including Derek and Chelsea, Atlantic British customers who have been rebuilding their 2000 Discovery 2 as an adventure vehicle. I rang in the New Year at 9:00 PM, personally -- I had to be back on the East Coast soon, so I figured I could celebrate with Times Square and get my sleep back on track. After another blowout breakfast on New Year's Day (including the New Jersey specialty breakfast meat, pork roll/Taylor Ham, which I "imported" to share with my Californian friends who had not tasted its delights), we headed over the South Pass back to Olancha, where we had our first meal at a restaurant in almost a week and then said farewell. 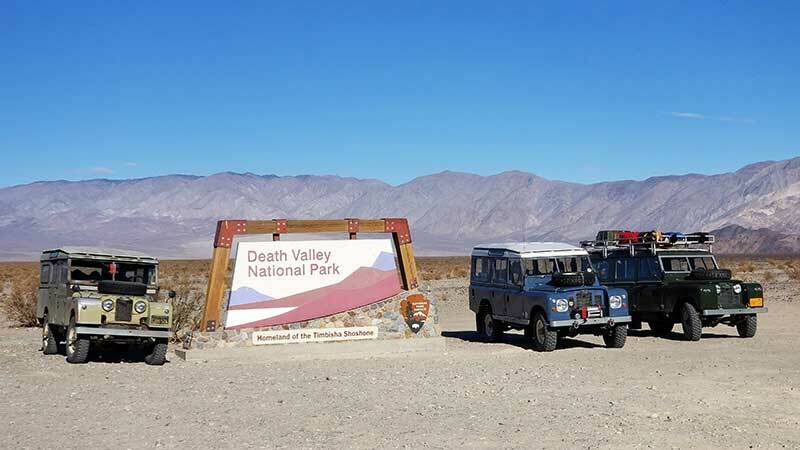 I'd wanted to visit Death Valley since the early 2000s, when I saw my first photos of Land Rovers out here. Was it worth waiting that long? Absolutely. And since I've seen so relatively little of it, even after a week, I very badly want to go back and explore more of this wonderful, transfixing land.